The Cosy® combines elegance and a classic design with a sense of cosiness. 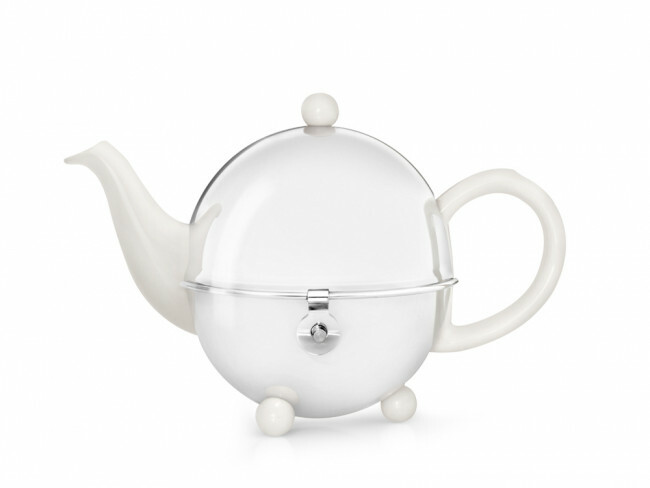 This high-quality ceramic teapot features a removable stainless steel casing, filled with an insulating felt layer. 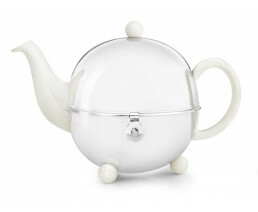 This ensures that the tea remains hot and fragrant for a longer period of time! 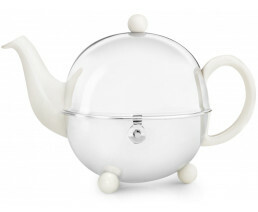 Ceramics are especially suitable for brewing green and white tea varieties. 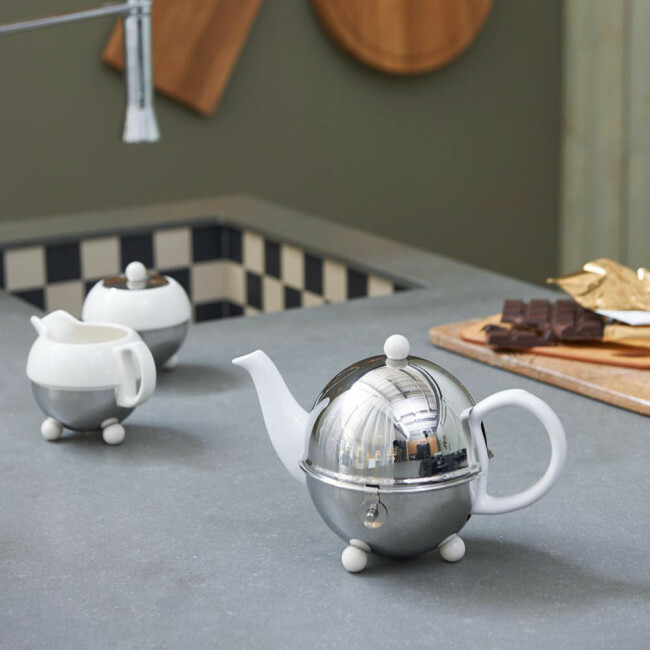 The Cosy® is supplied with a filter, and its inner pot is dishwasher safe, which makes it very practical in use.